TRANSCEND MEDIA SERVICE » Who Is the Real Threat to World Peace: Nuclear Israel with Its 400 WMD or Non-Nuclear Iran? 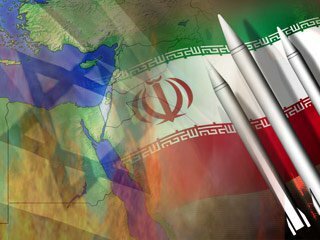 Who Is the Real Threat to World Peace: Nuclear Israel with Its 400 WMD or Non-Nuclear Iran? 31 Jan 2019 – U.S. intelligence officials confirmed to the Senate Intelligence Committee, on Tuesday [29 Jan], that Iran was not developing nuclear weapons in violation of the 2015 nuclear agreement, and furthermore had no strategic plans to do so. This report from the US intelligence community indicate that Israel’s Netanyahu and his American cohort, Donald Trump, have deliberately misinformed the world regarding Iranian nuclear capability. The state of Israel, which is estimated to have in excess of 400 undeclared nuclear warheads must be compared to Iran which is not a nuclear weapon state. Who, therefore, is the threat to world peace?